So whilst most of the office has packed up and left for the year, muggings is still here and working until Christmas Eve. Don’t feel bad for me though, I was flippant with my holiday entitlement and the K-D’s have managed 3 lovely holidays this year. How am I going to stay focused for the next 2 weeks though? I obviously have the key days off (Christmas Day, Boxing Day, New Years Day) and bar 1 extra days annual leave I’m here for the longevity, all on my own. The quiet open-plan office is stifling to me at the best of times. Is this a chance for me to practise my cartwheels in-between the rows of desks? A chance for me to colour coordinate my plastic paperclips? Or is this actually an opportunity to get on with my work instead of everyone else’s? Whatever I choose to do, I bet I will mostly look like this. So if you’ve already finished work, sod you. But if like me, you are working until the bitter end, *high-five* you are awesome. 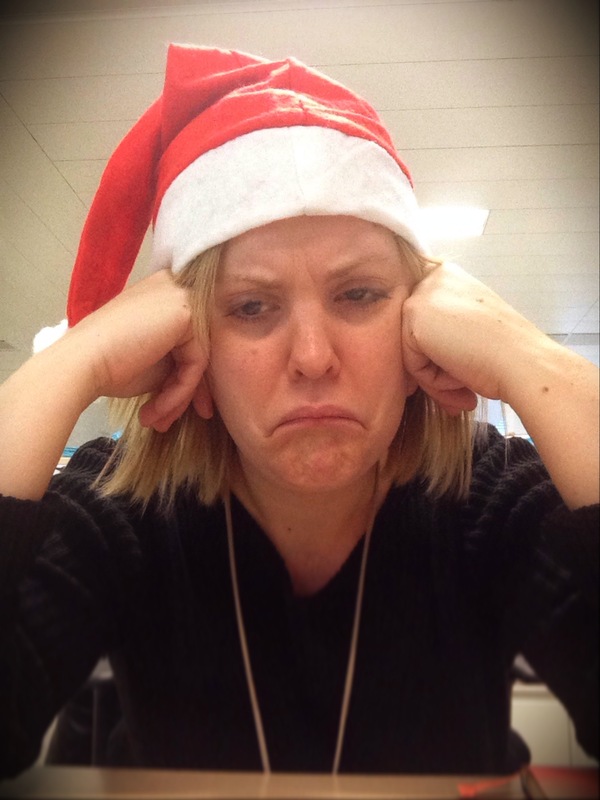 And if you are one of those Christmas angels working as normal, regardless of the time of year….well I salute you.